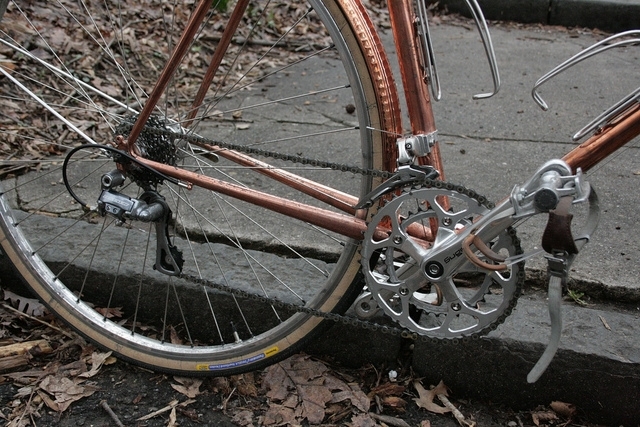 Taylor Sizemore is one of Portland’s many talented handmade frame builders (Ahearne, Vanilla, Hufnagel, to name a few) and at the age of twenty-four has a good range of track and commuters under his belt after just a couple years of building. 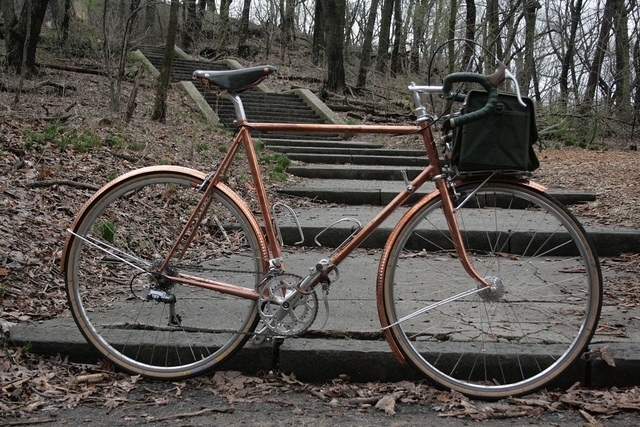 This particular frame is my favorite, a copper plated randonneur built for the owner of Bespoke Bicycles in Brooklyn who built up the bike after Taylor was finished with his work. 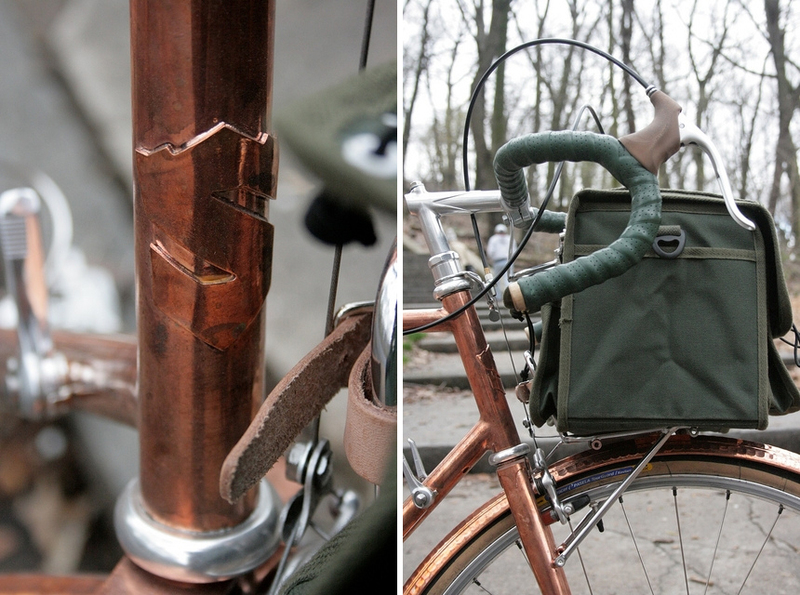 The whole build is really well detailed from the copper hammered fenders to the olive accents: Brooks leather bar tape, Ostrich handlebar bag, and copper railed Brooks saddle. Check out more of his work here. Thanks a bunch for the post, I posted about you back. You deserved it regardless! I’m really into your blog, keep it up! Also, I do love Portland, but for the record I’m in the process of relocating to Seattle… Hope that doesn’t bum you out! Glad you like the blog, I’m not bummed unless you stop making frames!